New Jersey is well known for its Jersey Shore – 127 miles of coastline beginning at Sandy Hook, the northernmost point, where you can take in the stunning New York skyline, and stretching all the way to Cape May, America’s oldest seaside resort, and the state’s southernmost point. 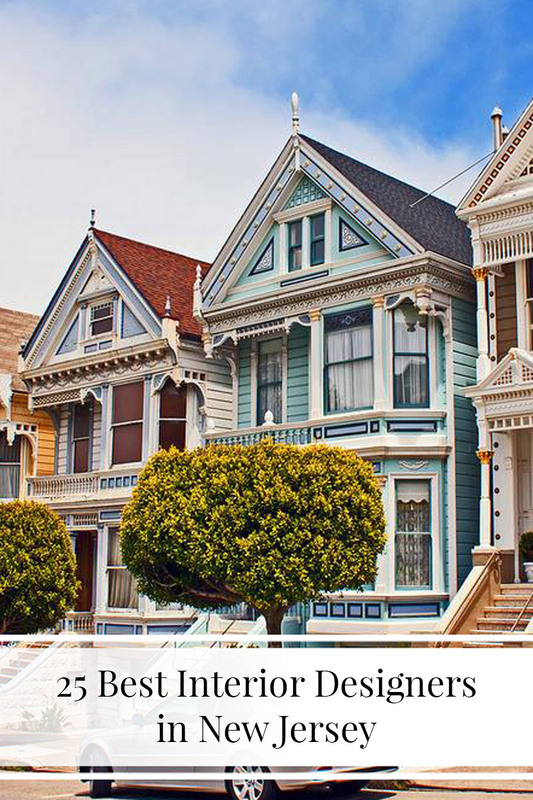 Magnificent architecture and history span across New Jersey, with well-preserved Victorian buildings present in many towns, alongside lots of modern architecture throughout its cities and coastal resorts. This contrast between old and new is also noticeable on the inside of the state’s buildings. 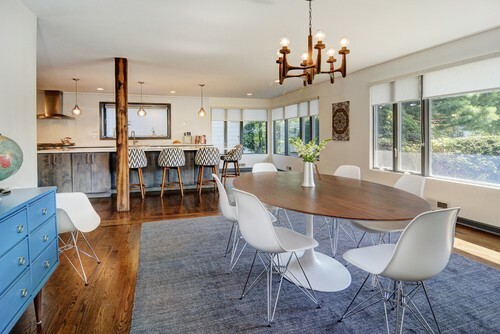 The signature interior design styles of New Jersey’s designers are a good mix of classic, traditional and clean-cut modern – many taking inspiration from the coastal location. 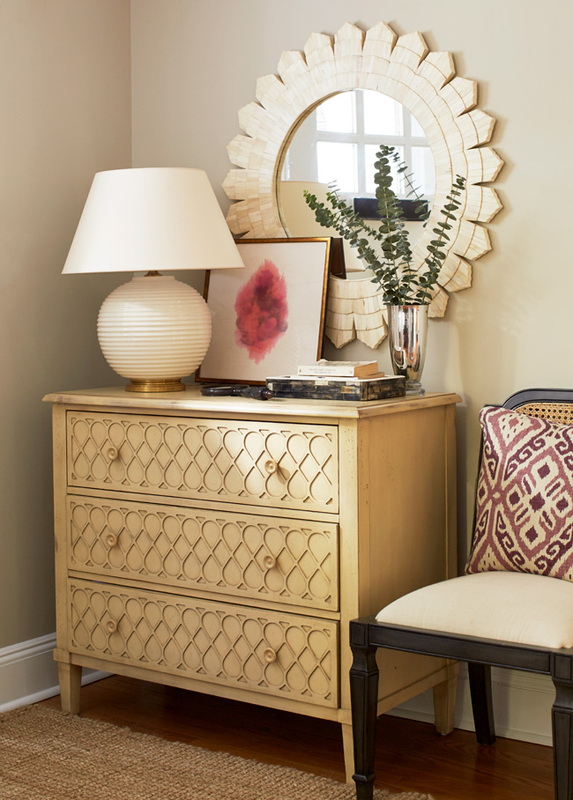 Kristin Ashley Interiors was founded by interior designer Kristin Badolato in 2012. Based in Bernardsville, New Jersey, Kristin is passionate about creating beautiful, functional spaces that are tailored to the individual. With an innovative approach to interior design, Kristin’s signature style incorporates a vintage vibe with a modern twist. Each design completed by Kristin Ashley Interiors is sophisticated, polished and fresh, yet still colorful, functional and timeless. 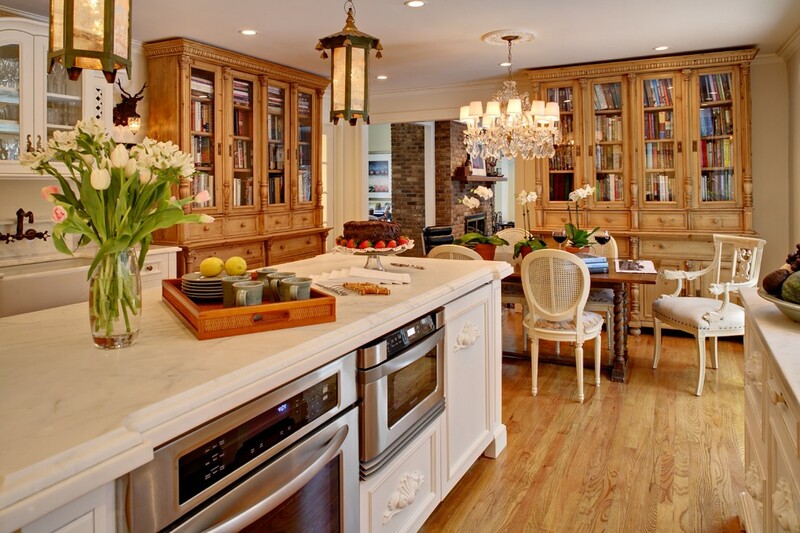 Kassel Interiors is headed by Anita Kassel and based in Upper Montclair, New Jersey. Offering a full range of interior design services and a strong eye for design and detail, Anita Kassel continues to create modern, sophisticated spaces that incorporate realistic design and budget aspirations for each unique client. With a background in fashion textile design, Anita finds inspiration from texture, color, nature, and architecture. This is demonstrated throughout her high-end design portfolio. 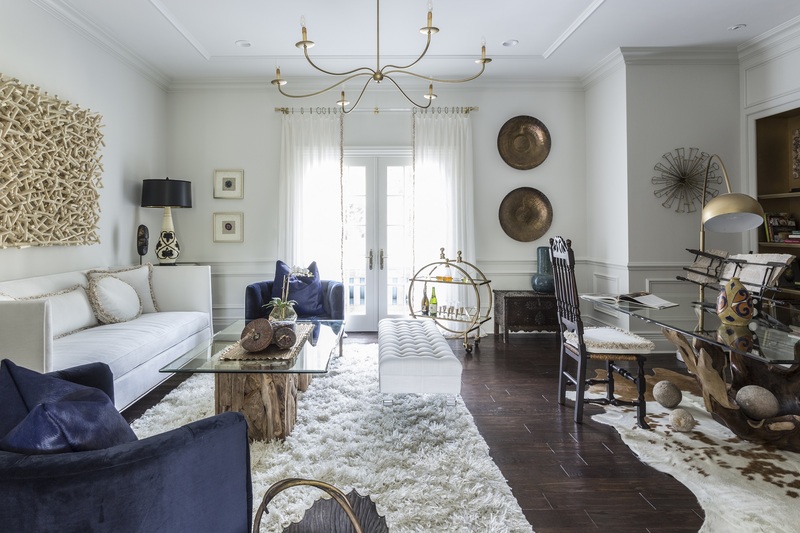 Based in South Orange, New Jersey, Karen Wolf is an interior designer who combines classic and modern elements to create balanced, elegant and livable spaces with a contrast between old and new. Karen’s style has been influenced by her background as a fine artist and her travels across the globe. 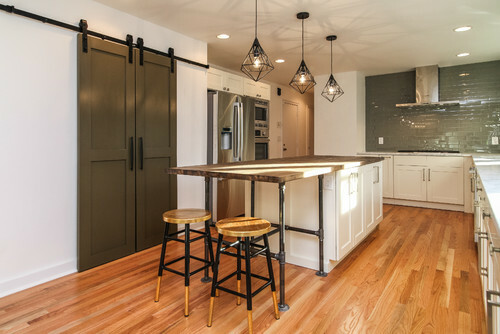 Over the last few years, Karen has earned several Best of Houzz Awards and her portfolio of work has been recognized on HGTV, alongside other online and print publications. Jula Cordeira is an interior designer based in Glen Ridge, New Jersey. 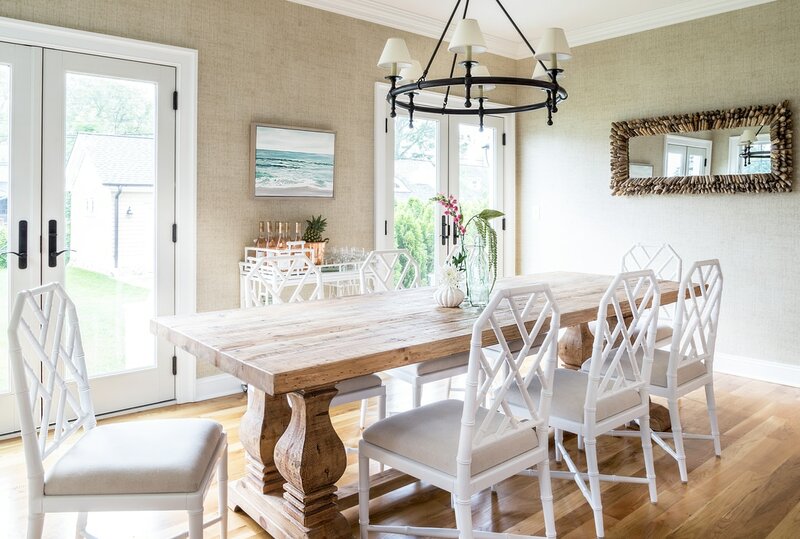 Her firm, Jula Cordeira Interiors, LLC is a full-service company offering interior works including room design, closet design, space planning and custom furniture alongside lots more. Jula has a style that focuses mainly on modern interior trends with a touch of traditional design ideas. After completing various successful client projects, Jula has gained a reputation for her eye for color, project management, and home staging. Situated in Chatham, New Jersey, Jarvis & Co. Interiors is a boutique residential interior design firm headed by Amanda Parisi. Since previously working with Drake Design Associates and Fox-Nahem Associates, Amanda learned skills that allow her to incorporate color and texture into spaces, altogether creating cohesive living spaces that capture attention. With a diverse design style that is heavily influenced by her travels, Amanda is able to work with clients that have a range of different tastes. 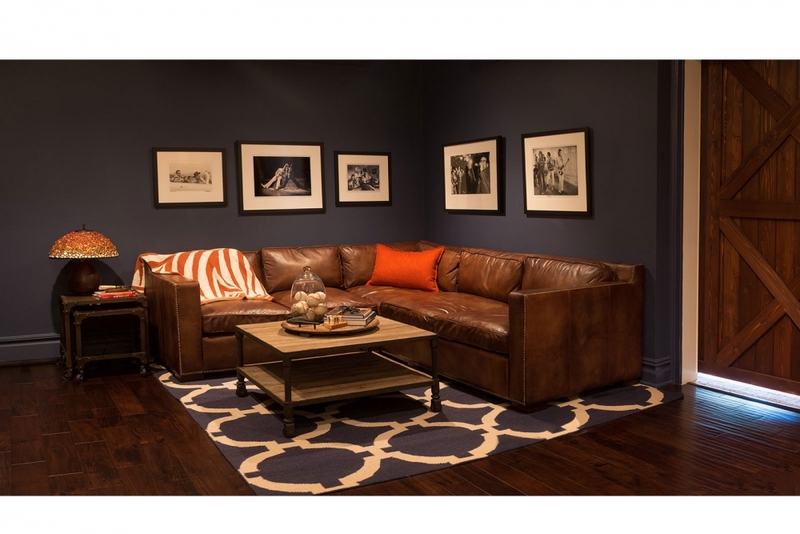 D&S Interior Design is situated in Teaneck, New Jersey. With a mission to inspire, enhance and create a space each client loves, Dahlia Friedman and Shani Zarihan together have a background in interior design and fashion and each aim to exceed all client expectations. The firm specializes in a number of services including residential design, furniture selection and design, home staging, window treatments and outdoor living spaces. 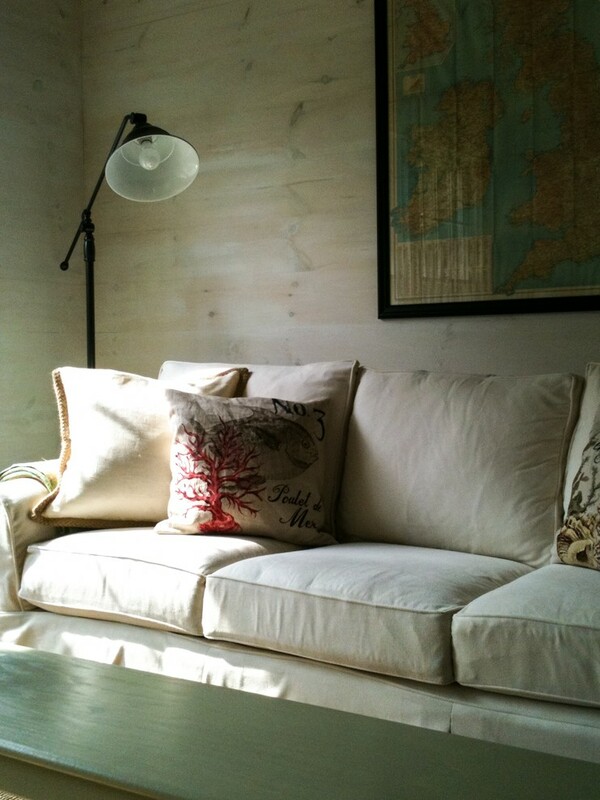 Cory Connor is an interior designer based in New Jersey. With a signature style that incorporates understated sophistication with pops of personality, Cory is passionate about transforming interiors. 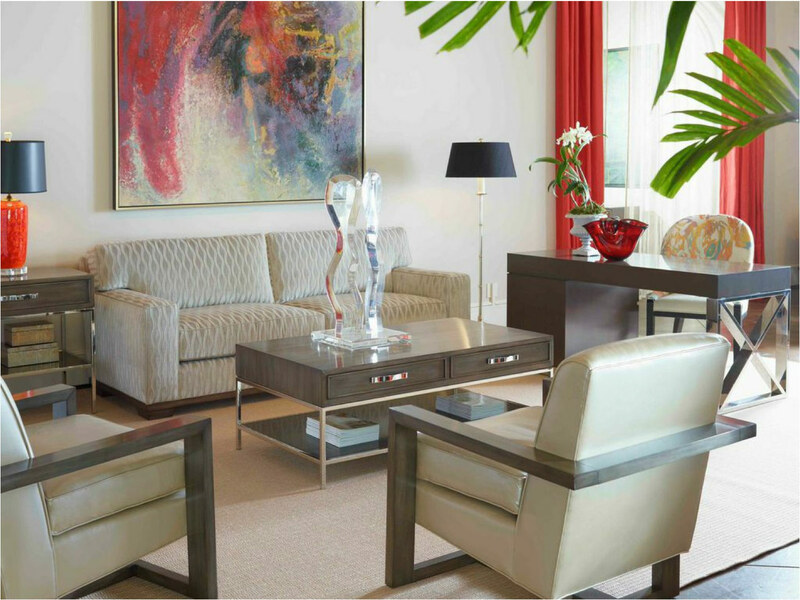 Each space designed by Cory Connor is comfortable, beautiful and a true representation of each client’s lifestyle. 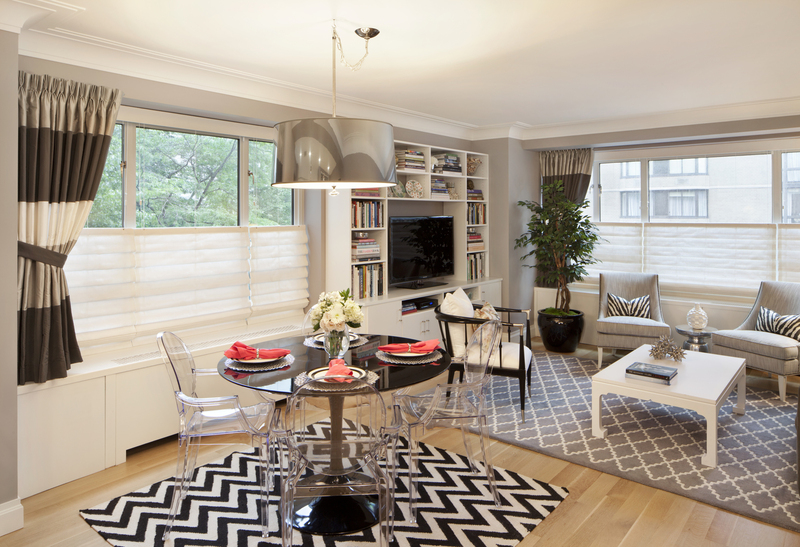 Cory has a love of mixing vintage and contemporary styles to create spaces that feel timelessly chic. 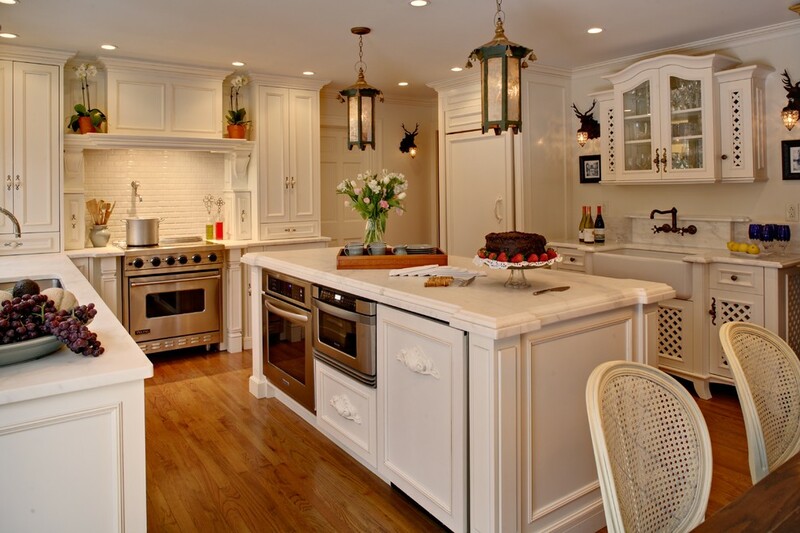 Boucher Interiors is situated in Ridgewood, New Jersey. 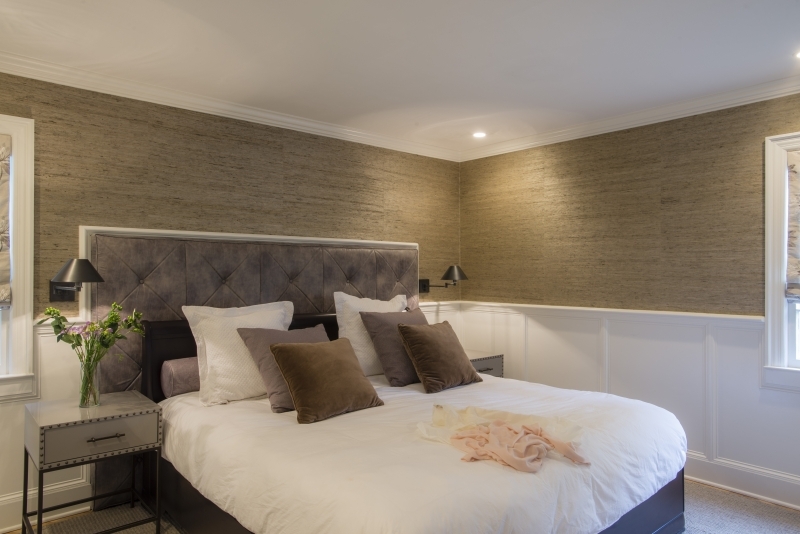 Founded in 2003, the firm is made up of three passionate interior designers that are experts in creating homes that incorporate a clients’ sense of style whilst also embracing their unique individual and family needs. Founder, Michele Wesson believes that creating a home that functions in harmony with its owners should be at the forefront of every design. 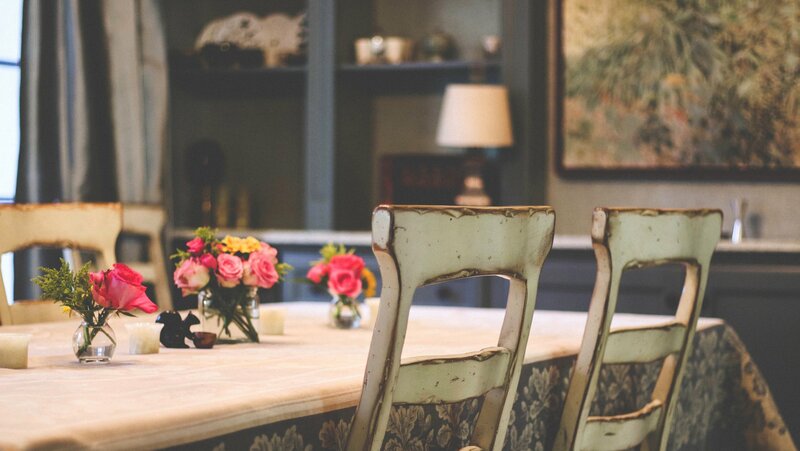 With interior styles including rustic and country home, Boucher Interiors create comfortable homes that allow clients to live their best lives. 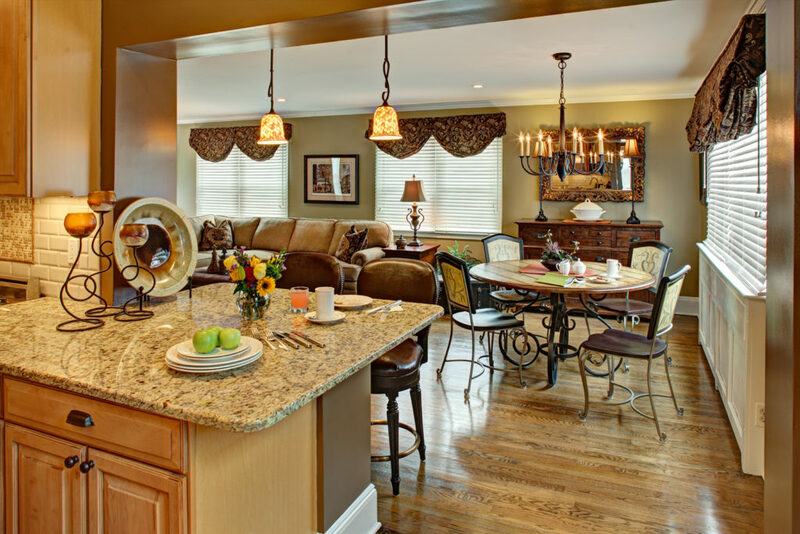 Arias Home is a full-service interior design firm, based in Bridgewater, New Jersey. 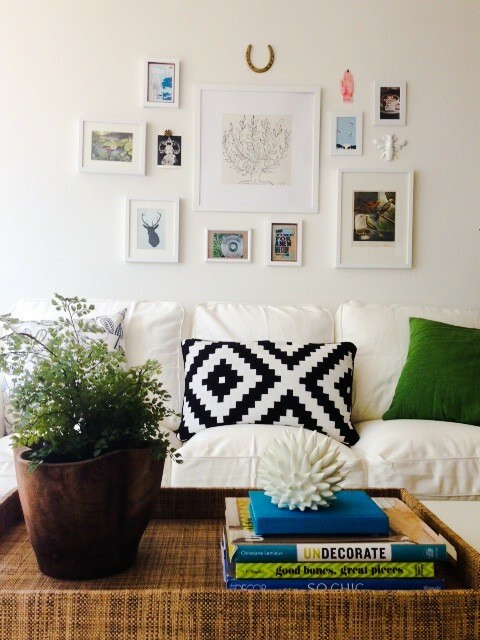 Founder, Julissa Arias, is an experienced interior designer with a brilliant eye for color and scale. Passionate about creating homes perfect for each individual, Julissa and her team understand that a home is a reflection of a person’s life experiences. With this in mind, each project is well-managed from initial consultation to construction and installation, which lends to the firm’s reputation and growth. 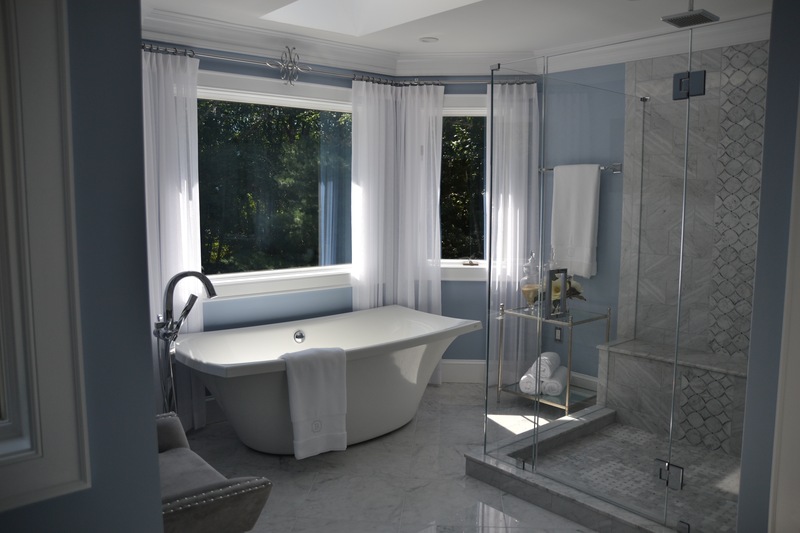 Alicia Shearer is an interior designer and real estate professional, based in Sparta, New Jersey. 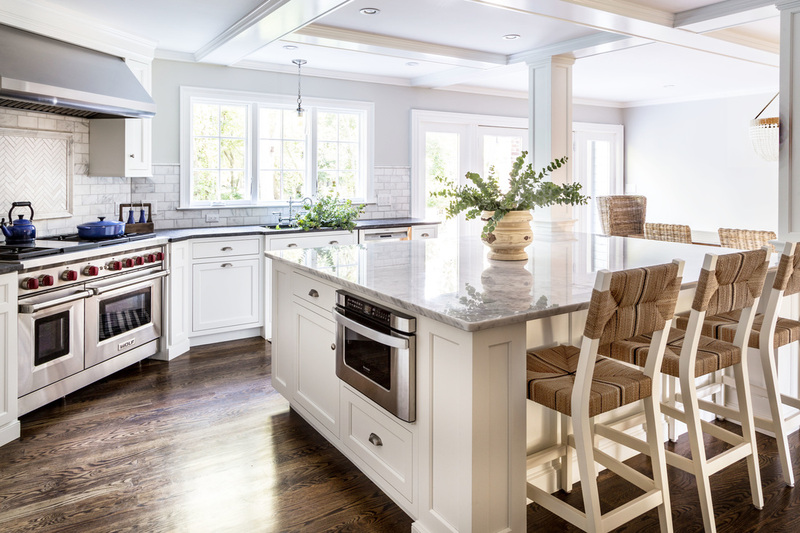 Offering services including design, renovation, and remodeling, Alicia’s experience in real estate gives her clients’ confidence in her abilities to transform properties, whether it be for a residential, hospitality, re-sell or new build project. & Design is based in Westfield, New Jersey and headed by architect Anastasia Harrison and interior designer, Lisa Tsavekou. With a focus on traditional, timeless interiors, & Design creates one of a kind homes that incorporate original architecture and character alongside modern, livable elements. The firm has a philosophy that upholds a close link between architecture and interior design to create classic spaces that stand the test of time, throughout various interior trends. Lemon Grass Interior Architecture is a high-end design firm that combines luxury European style with traditional American decor. The firm offers services including architectural design, interior decorating, furniture and material selections and new layout designs. Founder, Martina Servos prides herself on her ability to both optimize the functionality and layout of a space, as well as the overall aesthetic, from the very beginning of the design process. 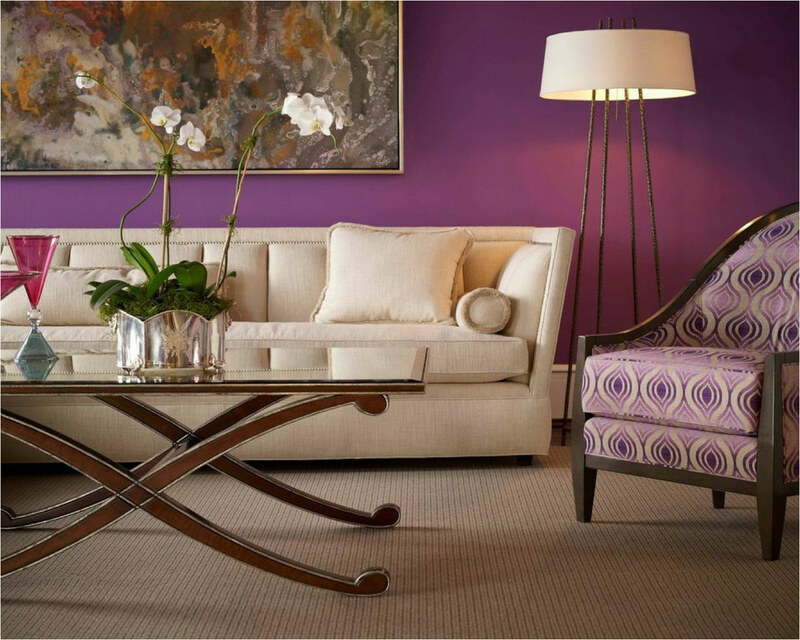 Based in South Orange, New Jersey, Nu Interiors was founded by interior designer Nureed Saeed. With the belief that form and function should meet comfort in every space, Nu Interiors ensures that the homes they design are the perfect balance of openness, light, beauty and functional needs. Founder, Nureed, works collaboratively with each new client and aims to create aesthetically pleasing spaces that are livable, no matter the size. Understanding that good design needs to be accessible, Nureed combines taste with affordability and carefully considers the needs of her clients when designing their space. 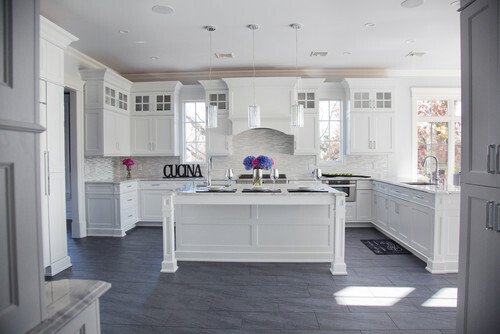 Situated in Princeton, New Jersey, Opaline Home is an interior design firm that creates beautiful, luxurious interiors. 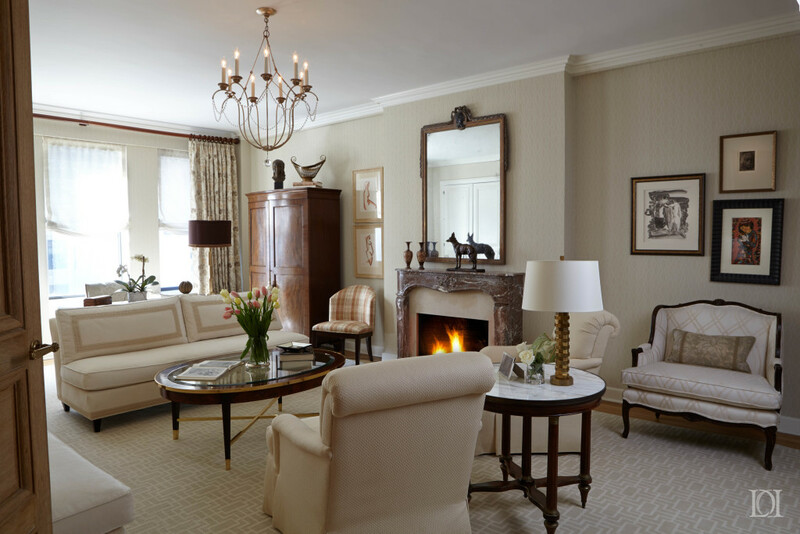 By combining elegant and comfortable furnishings with fine art and antiques, the firm creates timeless designs that reflect clients’ personalities and lifestyles. With over 30 years’ experience in the industry, founder, Sholeh Djahanban combines traditional and modern styles to create stunning, seamless and aesthetically pleasing homes. 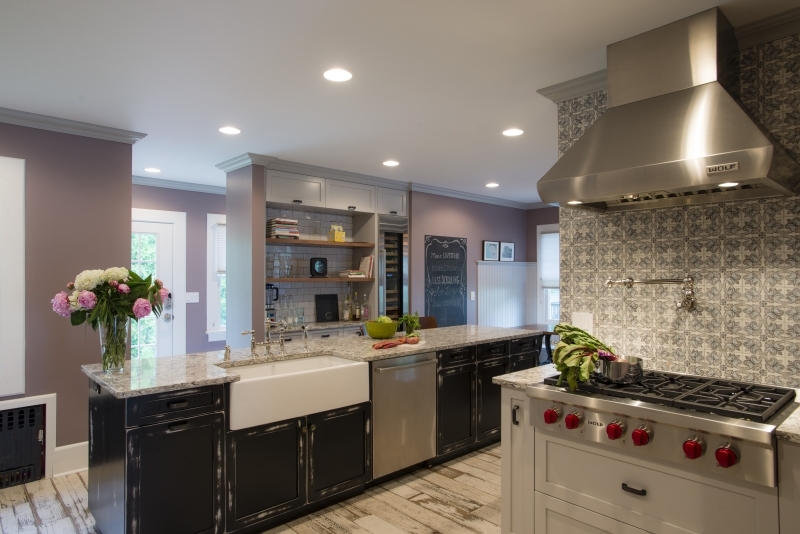 Boonton-based interior design firm, Polo M.A Inc. provides a full range of residential interior design services and is committed to creating unique spaces that work well for each client’s home. 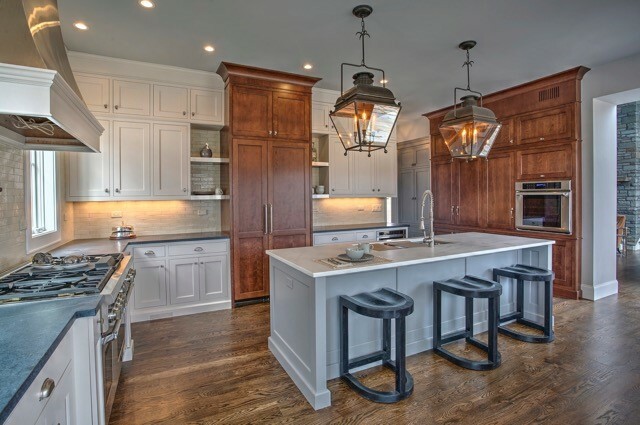 From new construction and renovation to decoration and home staging, this experienced firm combines a variety of styles to create outstanding homes. With a catalog of client recommendations and a portfolio of stunning previous projects, founder, Mark A.Polo works hard to turn interior dreams and desires into reality. 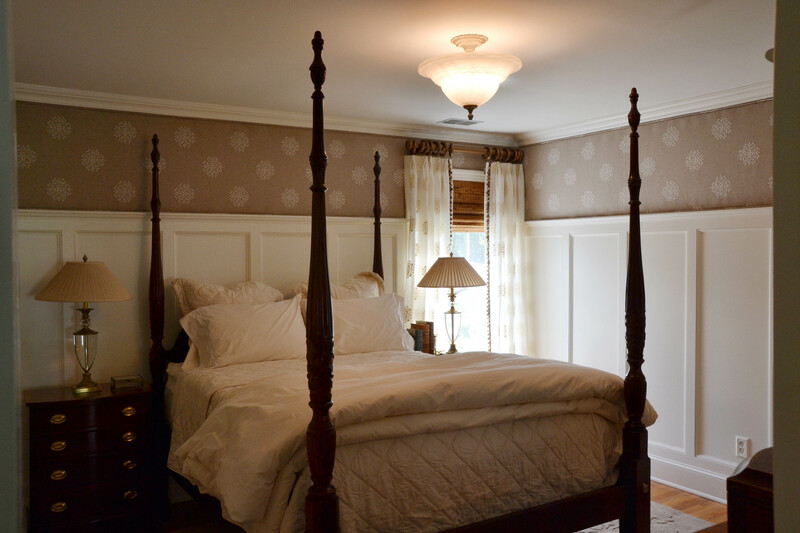 Raenovate is based in Haddon Heights, New Jersey and owned by design enthusiast Rachel Grace. 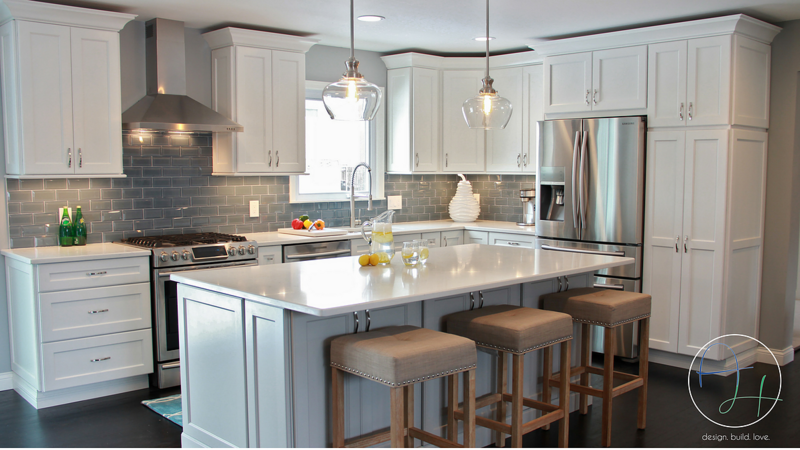 The firm specializes in interior design for families, creating functional, practical and livable, yet on-trend spaces. Working in collaboration with carpenter husband, Tyler, Rachel’s work has been featured in online and print publications such as Philadelphia Inquirer, Design Sponge and Your Home and Lifestyle Magazine. 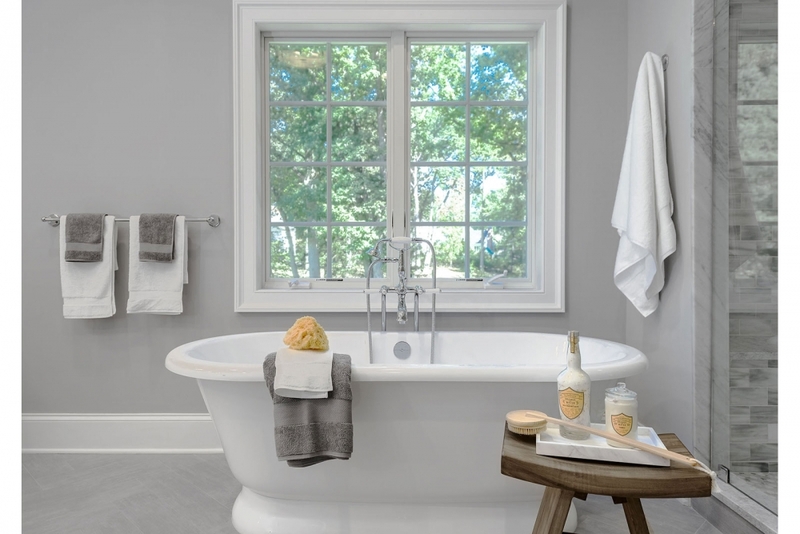 Since founding Raenovate, Rachel Grace has earned Best of Houzz Design Awards for 2015, 2016 and 2017 and built up a portfolio of tasteful, well put-together interiors. 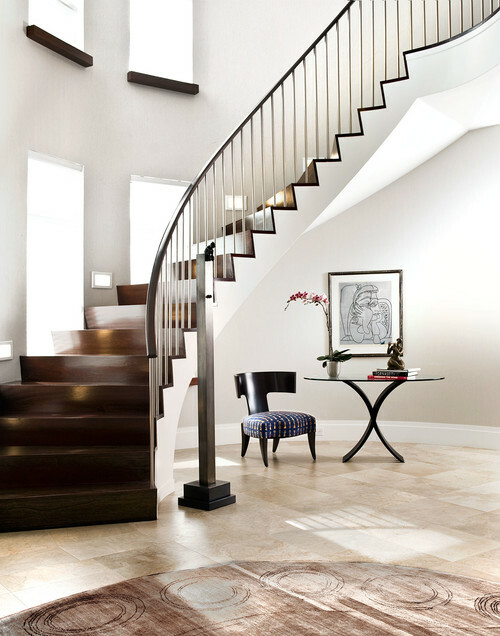 Ron Nathan Interiors is based in Wyckoff, New Jersey and was founded in 1974. Specializing in luxury residential interior design, the firm’s signature style is lavish, refreshing, imaginative and comfortable. 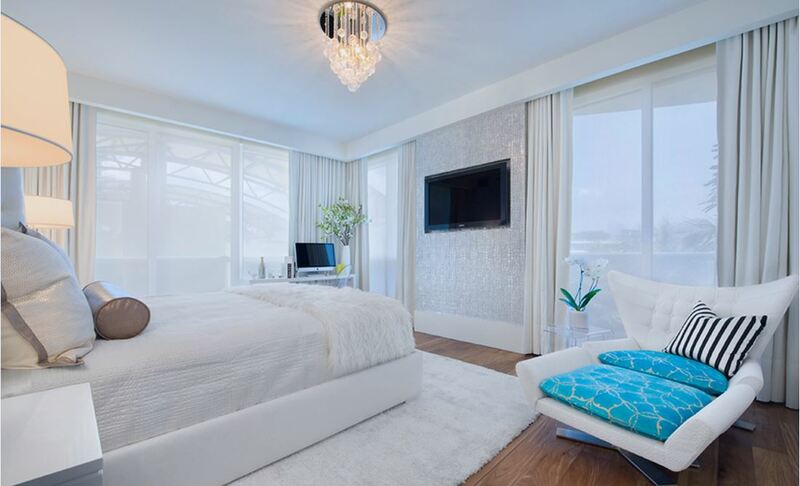 The experienced team of interior designers at Ron Nathan Interiors are on-hand from start to finish of each project with knowledge, resources and a range of services. The firm believes that luxury is within the details and approaches each new project with creativity and consideration for its unique design and architectural features. 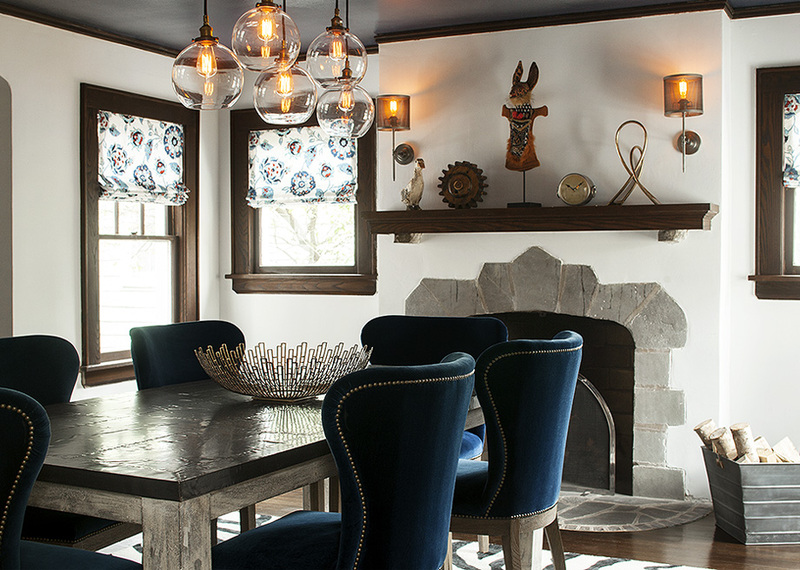 Situated in Asbury Park, New Jersey, Salt Design Co. is a full-service interior design firm specializing in residential design. The firm incorporates a modern theme into each of its designs, many of which feature a laid-back coastal vibe. Alongside Salt Design Co.’s interior services, the firm also has a boutique stocked with furnishings and materials needed to design your home. From home furnishings and lighting to wall coverings and countertops. 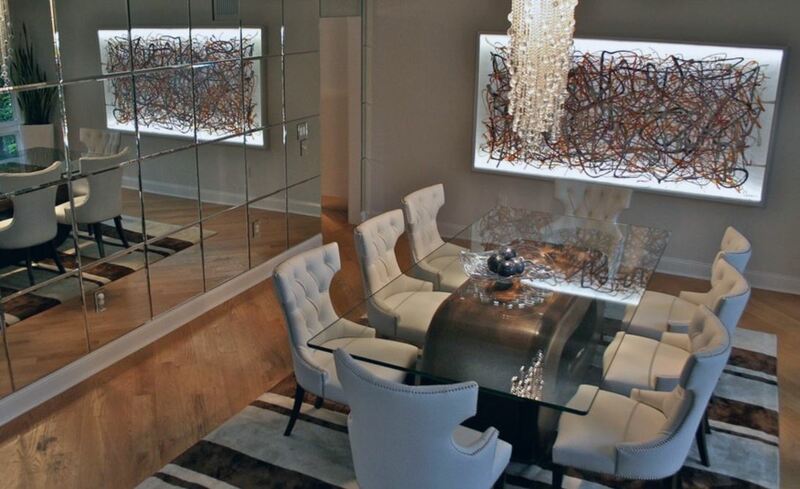 Uma Stewart is an interior designer located in South Orange, New Jersey. Believing that each space should be able to accommodate all of life’s activities, Uma Stewart designs interiors with personality – environments that are striking yet true to themselves. 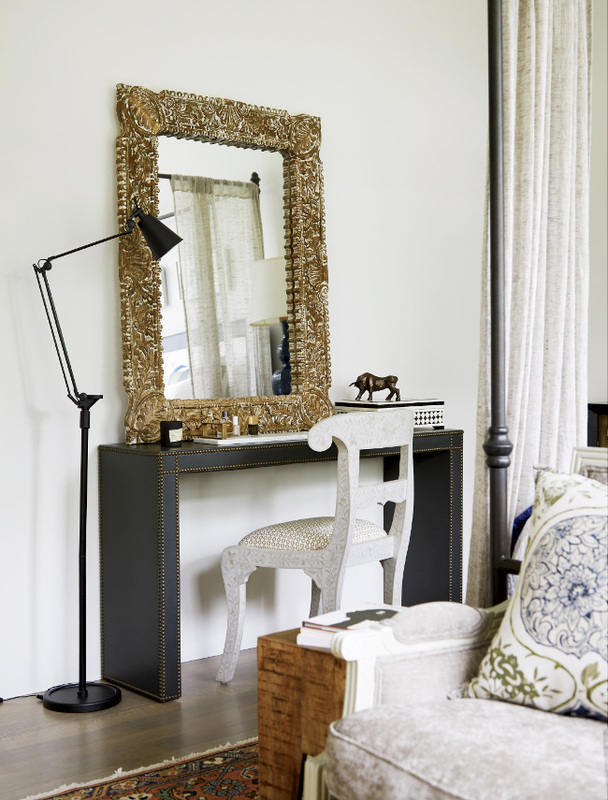 Uma understands that even if a home interior style is traditional, it should also feel current. Through this she carefully mixes design styles, ultimately creating a sense of comfort and a space that can be appreciated time after time. 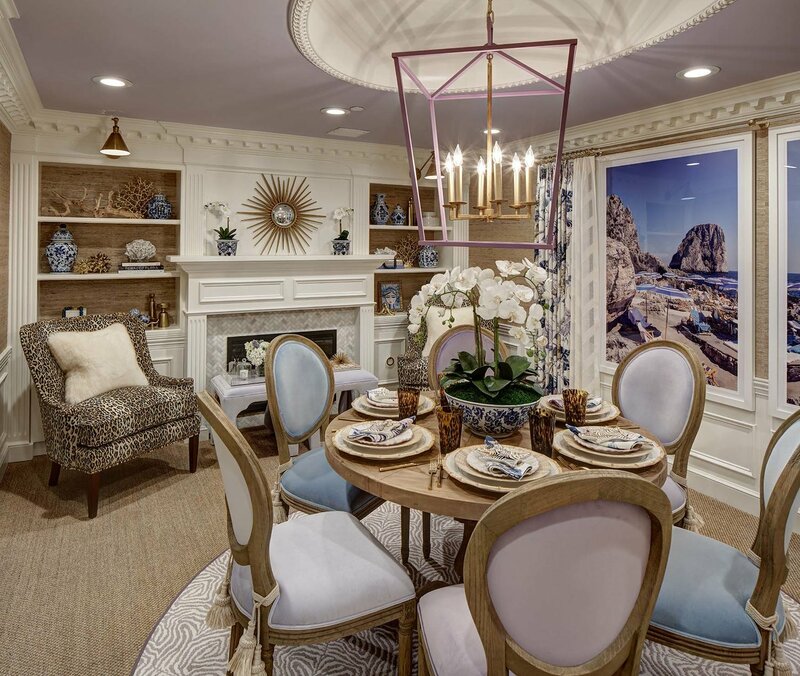 Valerie Grant is a residential interior designer based in Summit, New Jersey. Passionate about creating interiors that are personal, distinctive and inspired, Valerie Grant treats each project as a new experience and works with her clients to understand what is important to them. 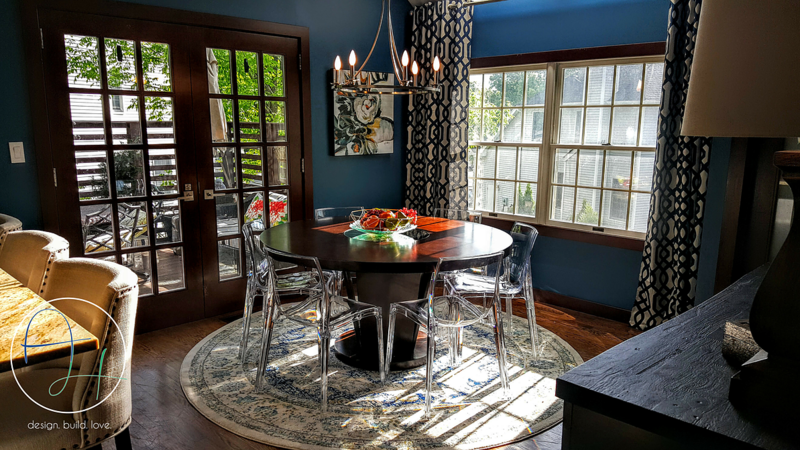 Her interior design services have earned her Houzz Service Awards for the last three years, along with a number of five-star client reviews. 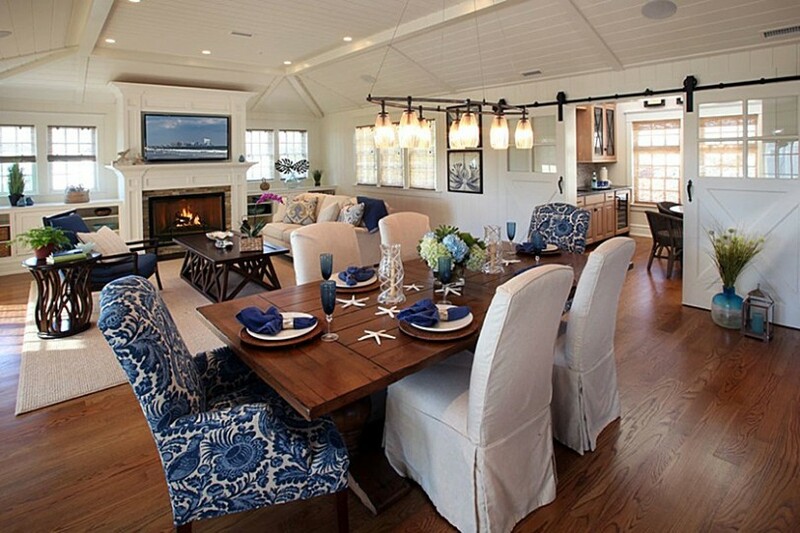 Avalon-based Beach Dwellings Design was founded by Maria Toczylowski in 2005. Maria’s love of the seaside is demonstrated throughout the spaces she designs – most of which incorporate various coastal elements, whether it be in the wall coverings, furniture or home accessories. Beach Dwellings works with a selection of trusted contractors to ensure each client gets the best out of their home design. The reputation of Beach Dwellings Design has awarded the firm Best of Houzz Service and Design for three years in a row. Artistry Interiors is located in Kinnelon, New Jersey. Head interior designer and founder, Heather McManus has over sixteen years’ experience in home design and lives by the philosophy that you should love where you live. This belief resonates in each of Artistry Interiors’ designs, sculpting a sanctuary for each client, away from the stresses of life. 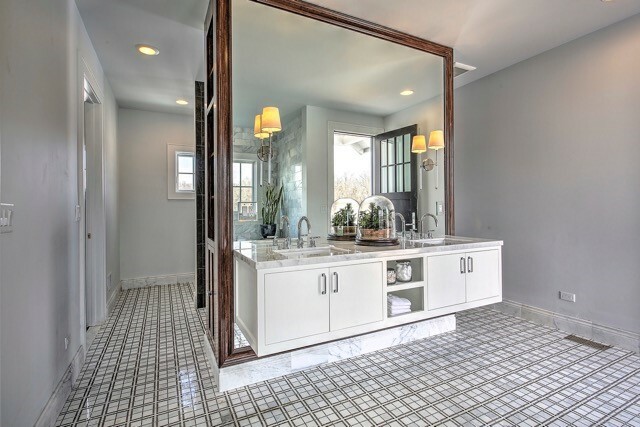 The firm’s functional, yet elegant design style has seen work featured in a variety of publications and earned a number of Best of Houzz awards. Since setting up her design studio in 1989, Deborah Leamann has become one of the leading interior designers in New Jersey. 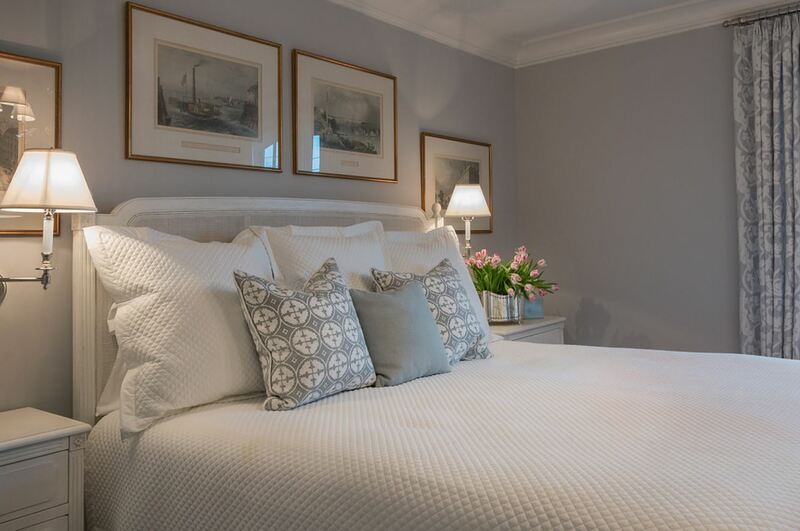 Offering a full interior design service, Deborah Leamann creates luxurious, classic spaces that are a result of focus, attention to detail and planning. Bringing a new lavish, sophisticated lease of life to each project, Deborah’s work has been recognized in lots of publications, including various features in Elle Decor. Founded in 2006, Denizen Design is situated in Asbury Park, New Jersey and owned by interior designer, Shannon Mery. Working on a range of residential and commercial projects, Denizen Design focuses on creating spaces that clients love to spend time in. Paying attention to the details – color, proportions, layers and textures – designer, Shannon, is able to create harmonious spaces with a sense of style and sophistication. 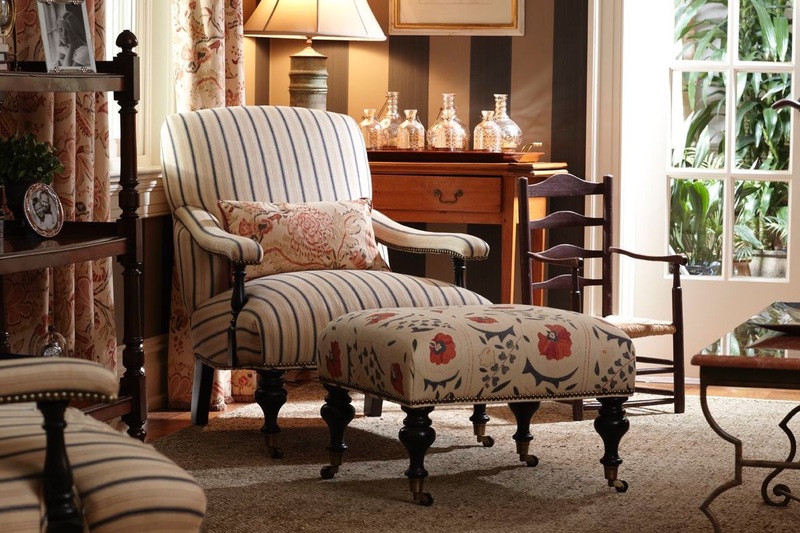 Interiors by Kelli was founded by Kelli Chitty in 1995. 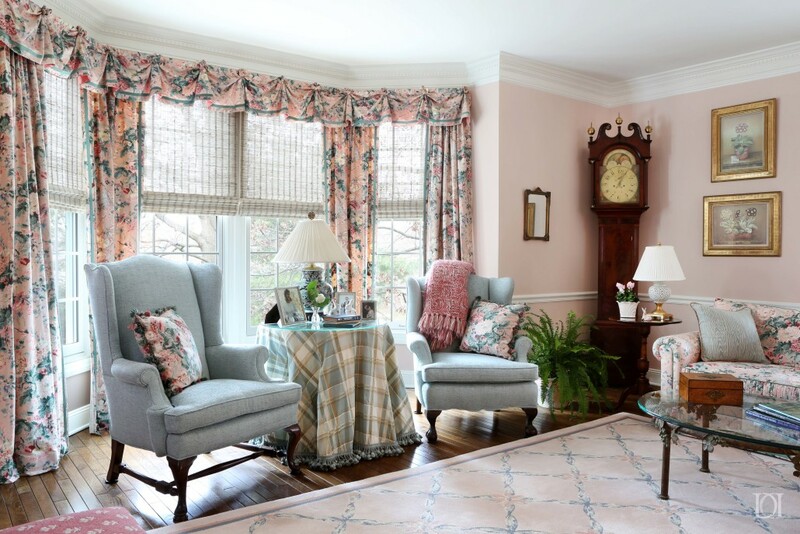 Located in Ocean, New Jersey, the firm specializes in custom window treatments and soft furnishings. Kelli has earned client reviews commending her eye for detail and color and her work has previously been featured in Design NJ magazine. The firm built up a portfolio of classic, traditional yet stylish interiors, through a mixture of residential and small-scale commercial projects. 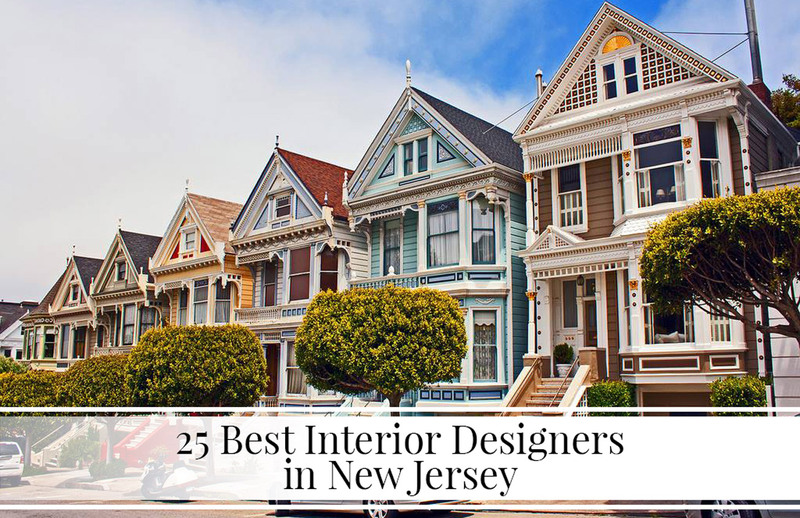 We hope this list has given you an insight into the talented work achieved by a selection of the best interior designers across New Jersey – we certainly enjoyed browsing through their projects.